Before we start, can I trouble you to Google the name, Julien Faure? No? Okay, fine, I’ll Google that for you, here. The reason I ask of you to look the name up first is because, if I were to simply introduce Julien Faure as a producer of fine and luxurious ribbons that has been in business since 1864, I run the risk of losing your attention as a result of a string of lofty words. But have a look at the exact applications for the incredible bits of fabric they create and the clients who turn to them for their expertise. Go on to their Gallery page, have a scroll about and you’ll find a list of impressive names from the world of haute couture. Although, towards the bottom of the same page, you’ll come across a name that isn’t from the world of haute couture, but rather a name that you and I are both — more than — familiar with: Tudor. Ever since 2010, when Tudor began offering a second fabric strap with their timepieces, starting with the Heritage Chronograph, it is Julien Faure that the brand had been turning to for their exceptional ware. 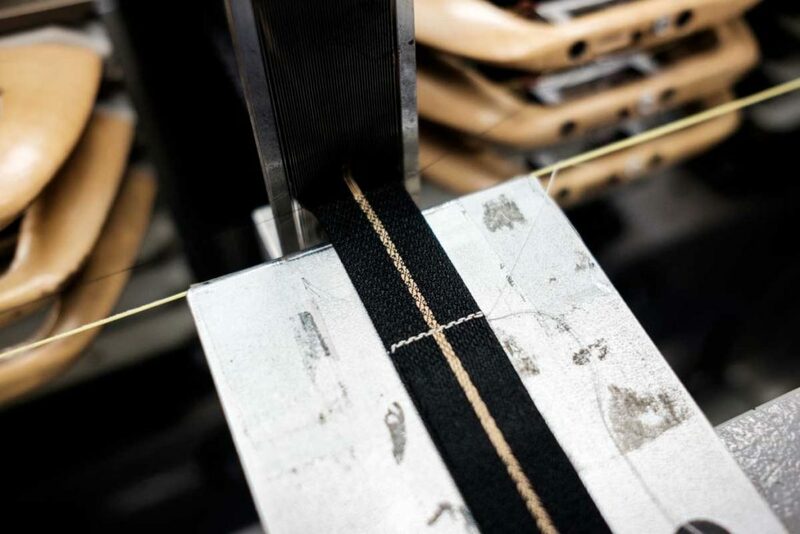 But look, it’s not like Julien Faure has been simply producing long strips of fabric — on their antique mechanical jacquard looms, no less — cutting them up to length and then sewing the necessary hardware on for Tudor’s needs. Rather, what Julien Faure has been producing for Tudor is truly a technical feat. 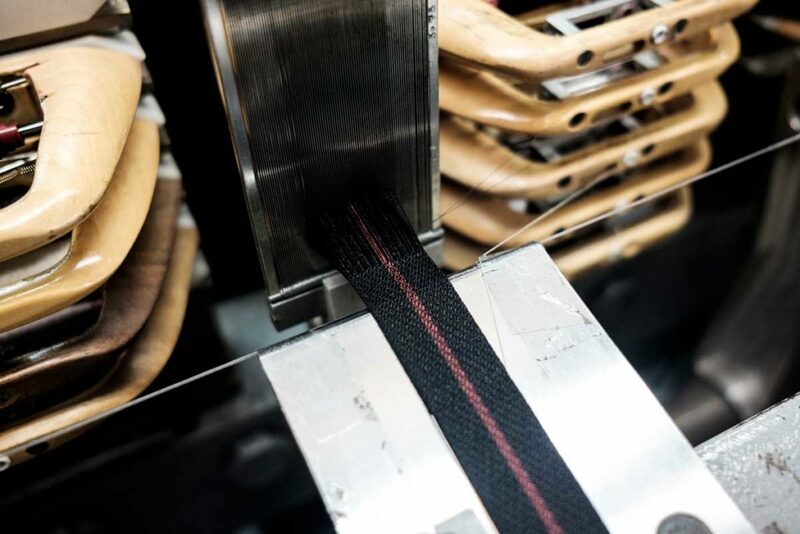 For the purpose of the strap’s strength and integrity, the folks over at the Saint-Étienne facility, engineered a fabric that is at least 500 threads per centimeter in length and 90 across. 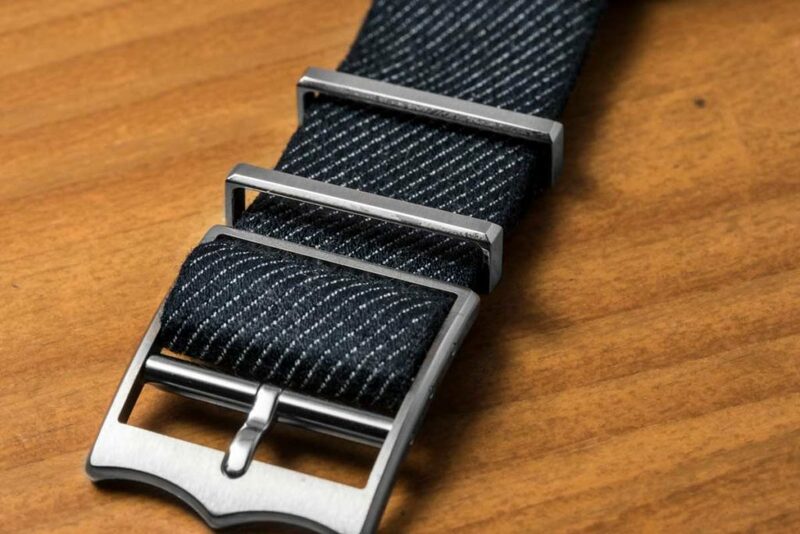 Or how about this — the space on the strap where the spring bars slot through, aren’t simply sewn in holders, rather they are formulated into the looming process to create “tunnels” in primary structure of the fabric. Same thought process is applied to where the pin buckle is secured and even the holes are, where you’re meant to secure the pin. The formula for how Julien Faure conceives these straps becomes even more complex when you think about straps like the camo patterned strap that was made for the Tudor Ranger of 2014. 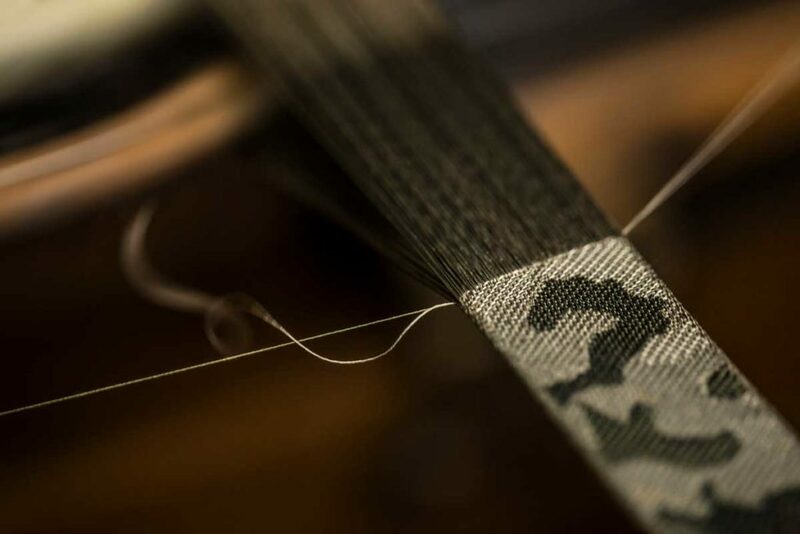 Keeping the earlier figures in mind — 500 threads per centimeter in length and 90 across — understand that in creating the camo pattern the final loomed strap ends up with four times as many layers. 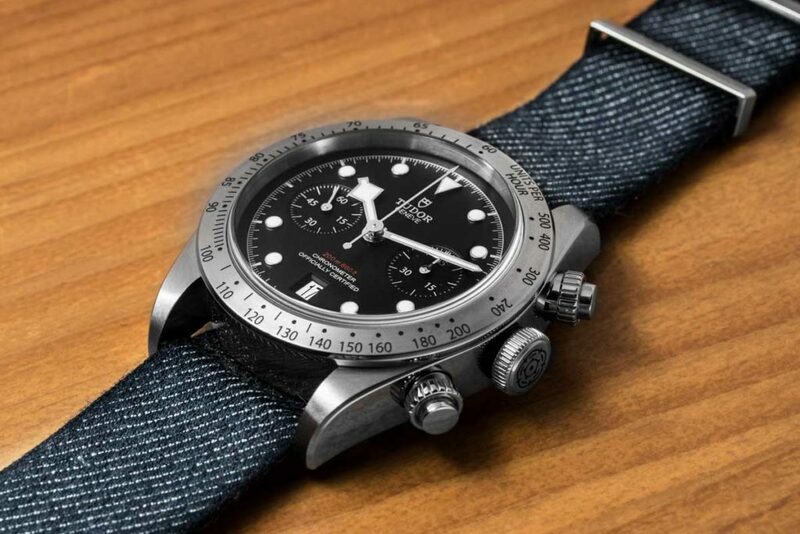 But the first time these straps that heighten the experience of wearing a Tudor watch, really made an impression on me, was at Baselworld 2017, the night before press day, when Tudor had gathered a select few watch authorities (which I am far from) to unveil the Black Bay Chronograph. What the hell then, was I doing there? Counting my lucky stars, I promise you. 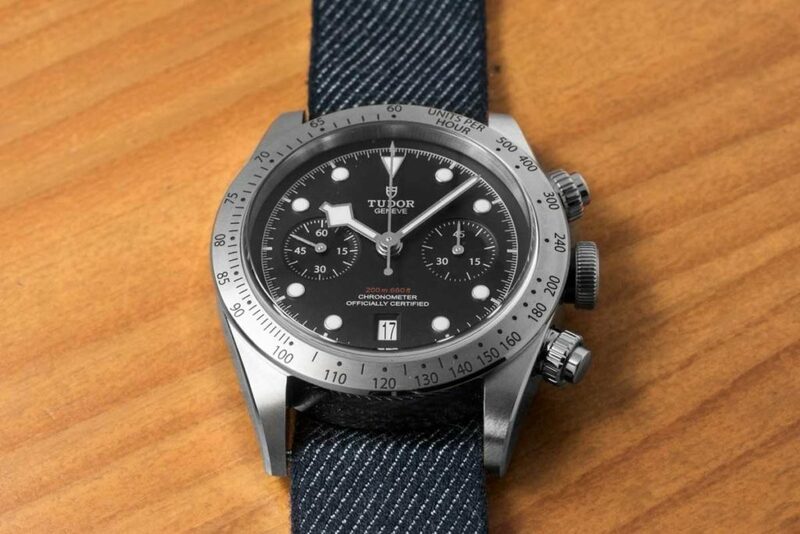 It was with the Black Bay Chronograph that Tudor showcased this denim-esque blue strap. 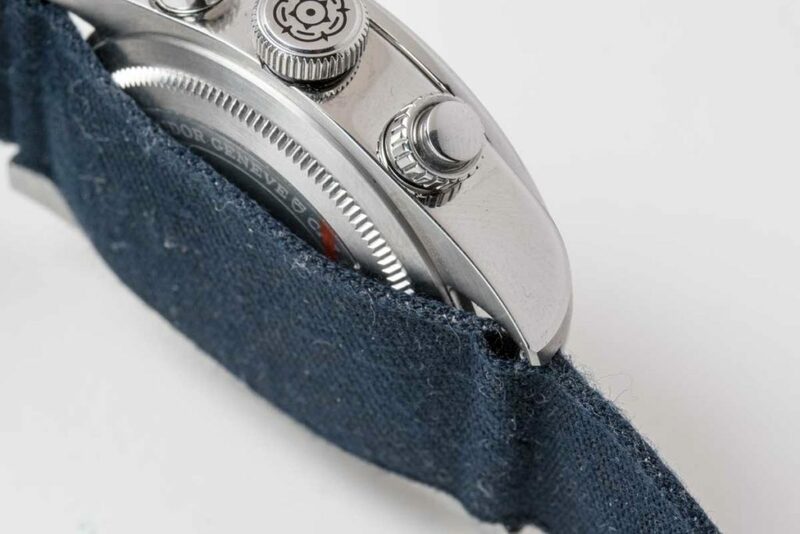 Beyond the great watch, and the comfort and reliability that the strap held, what was impressive is how this strap bore this denim-like visual effect, simply as a result of how Julien Faure had formulated the fabric’s weaving. And considering denim ware was just on the crux of making a comeback in a big way, you had to really give it to Tudor for being completely #onpoint. Fast forward now to 2018, to the month of February, when I found myself on the grounds of Julien Faure, in Saint-Étienne, France, surrounded by all of their 154 years of heritage — courtesy of Tudor, of course. A small group of us were there to discover how these exquisite fabric straps that adorn Tudor’s best are made. 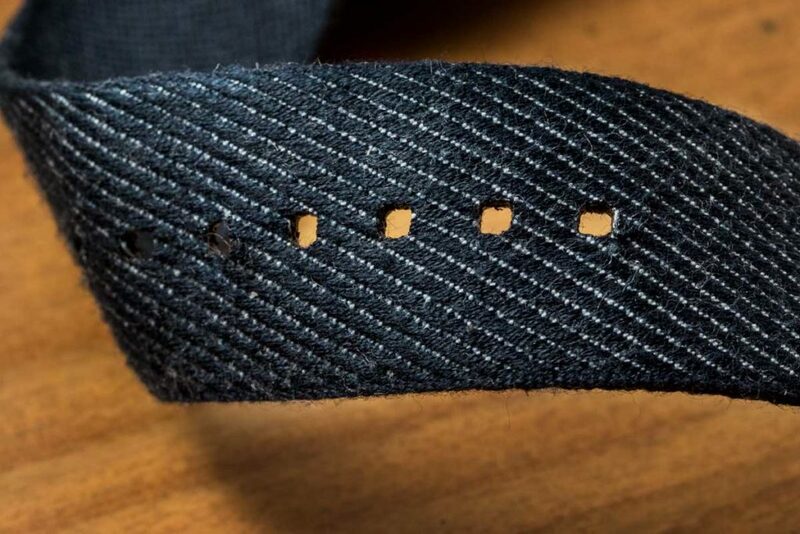 This is when we learned of those insane figures, mentioned earlier, about the straps’ thread density; the engineering that goes into these straps and just how they are unlike any other fabric strap out there. 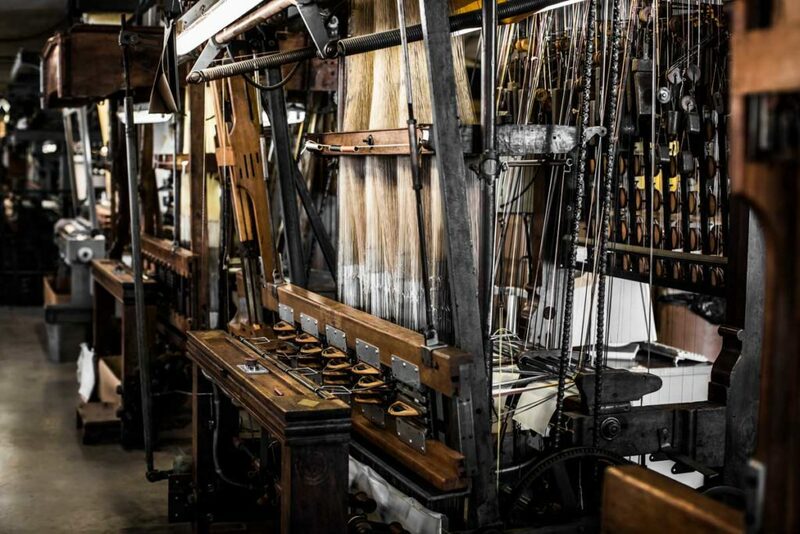 As we made our way through the rows of wooden jacquard looms, some from the group pointed towards machines that were churning out straps that we had yet to see on watches. 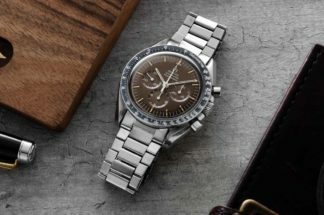 This meant that these were the newest straps, intended for watches to be announced at Baselworld 2018. Funny thing is, while peering over one of the machines, I noticed a note that read, “Ranger”. I thought myself damned smart now that I knew what Tudor would announce during the fair. Boy was I wrong. 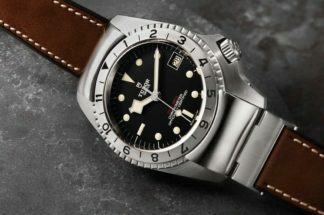 Later, while at Baselworld I learned that Ranger was the code name used during the development of the Black Bay GMT. 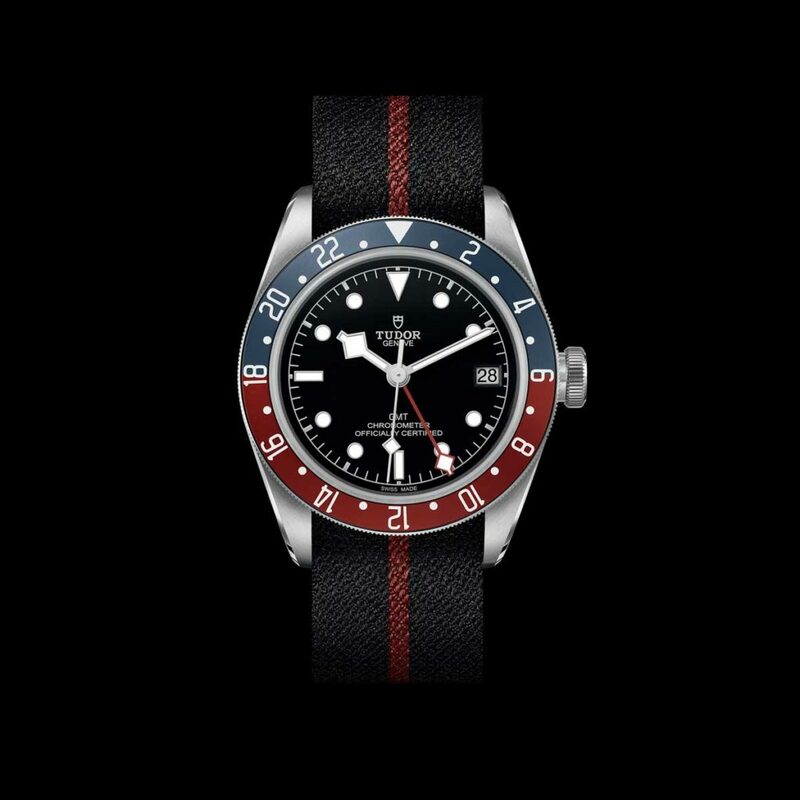 The watch, which as we now know, obviously received this black strap with the solitary red stripe down the middle. 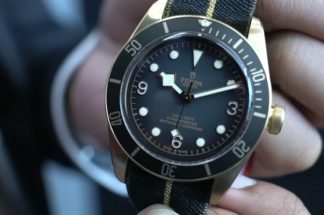 And the one with the gold stripe was intended for the 39mm Black Bay Fifty-Eight. 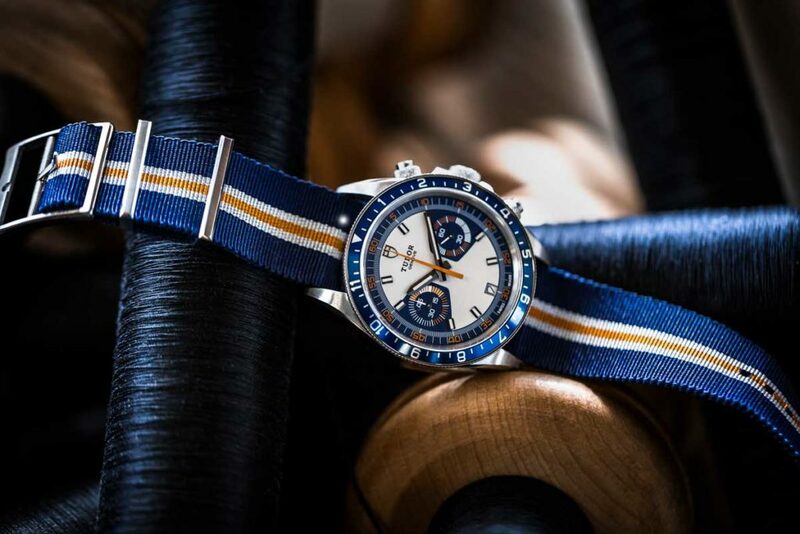 The question could be asked — why would Julien Faure and Tudor go to such lengths to produce a strap when many are getting away making fabric straps for less than half the effort? 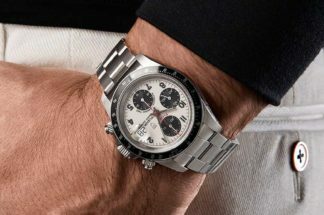 This goes back to a core value of Tudor’s: To provide the best watch, at the best value. 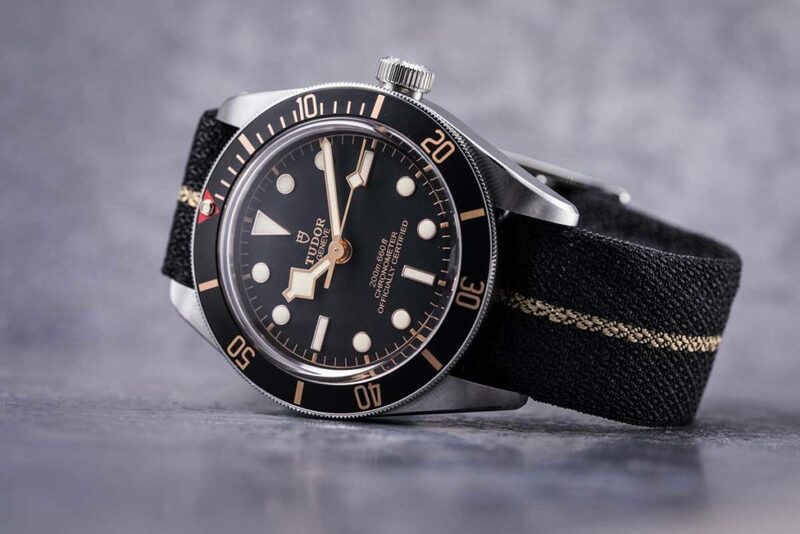 Therein it was not only important, but necessary that Tudor turned to experts in the field of fabrics, with enduring heritage, but innovative at the same time, that they would be able to produce a strap unlike any the world had ever known before. Therein, Tudor could not have found a better partner than, the one and only, Julien Faure.